There is something for everyone. 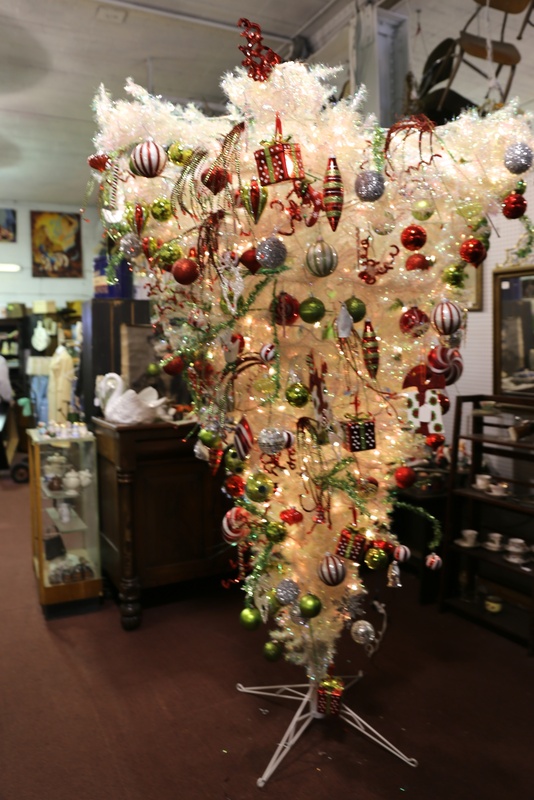 Three floors of all kinds of items. I don’t need a single thing and yet I enjoy looking. Instead, I should be signing up for the attic or basement clean-outs offered. My friend and I were driving back from the yarn store. I was stocking up for the winter. We’d seen this colorful place on the way out to Sewickley and made a stop on the way back. Bill the owner told us the story about the bird and the ornament and you can see how this scene caught our eye as we drove by. 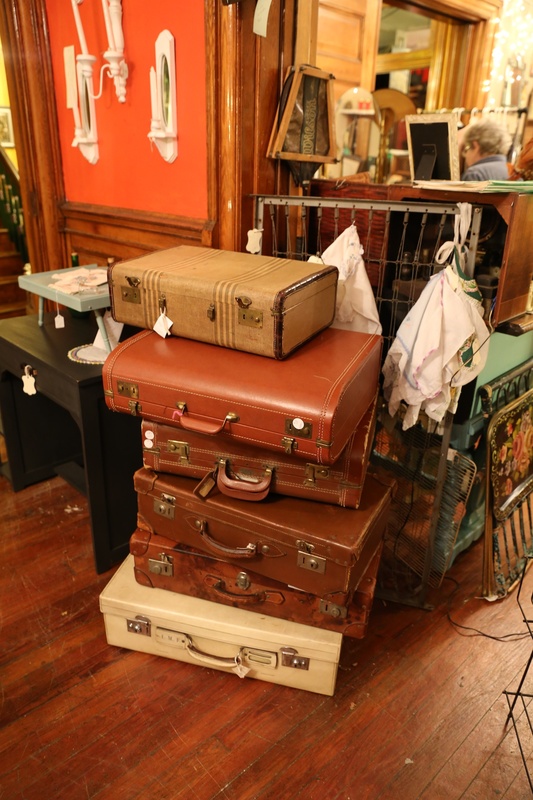 You know these suitcases (valises) each have a story. Not sure where they’ve been. 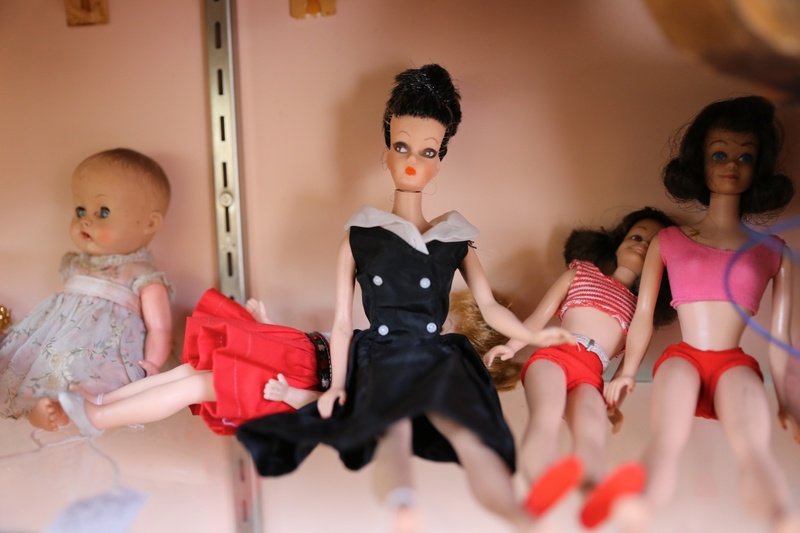 You know the dolls look at me….or in this case, look away from the lens. 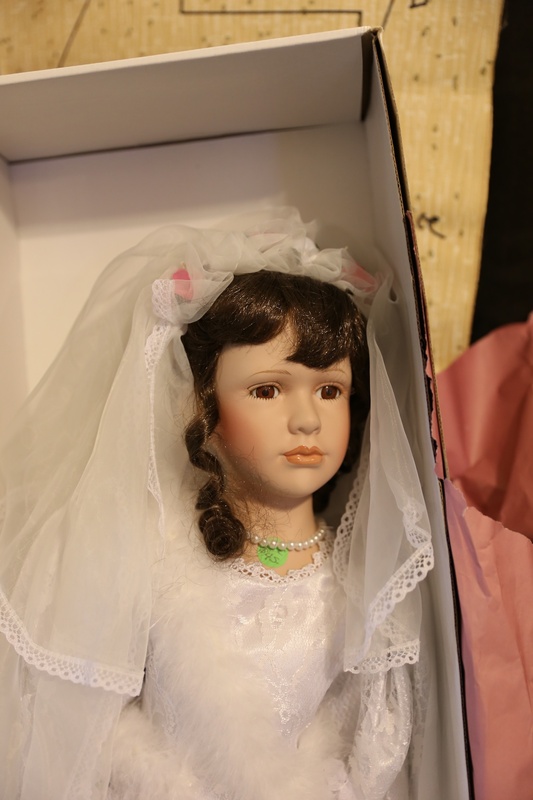 Not sure if bride dolls are still manufactured but they were popular at one time. Self portrait. There were two more floors but we didn’t have time today to explore. I bought a handkerchief. Has a little nursery rhyme in the middle. Another post just for it another day. Who can resist nostalgia? But lke you I need to get rid of stuff myself and I’m impressed that you only bought a handkerchief. This post took me back to the late 70’s when we lived in Germany. In the sixth photo down- the white “bisque” mother holding the baby looks like a Kaiser figurine which would be stamped on the bottom Kaiser West Germany. They were very popular with the Americans in Bavaria. 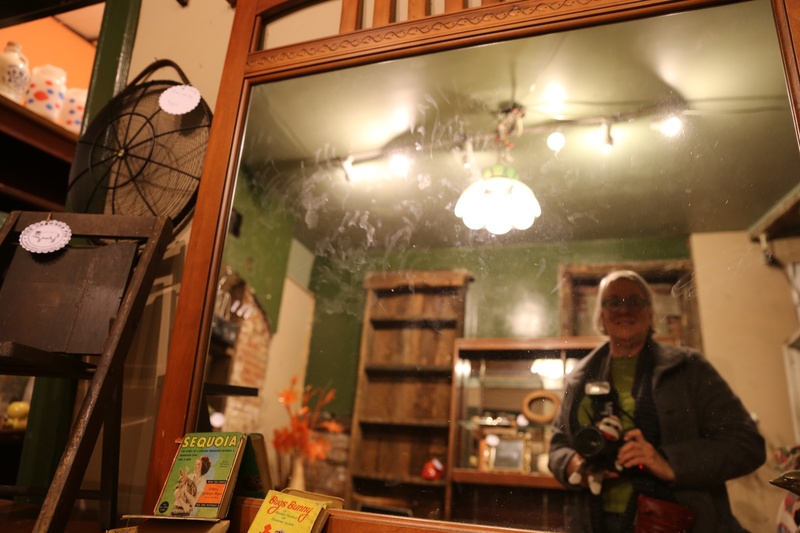 Ruth – I really enjoy your photo blog, and I particularly like the fact that you take photos of scenes that many people – myself included – would just walk by and not even notice. For example, in this collection, I particularly like the photo entitled “staircase.” I like the colors and the combination of horizontal lines and vertical lines. 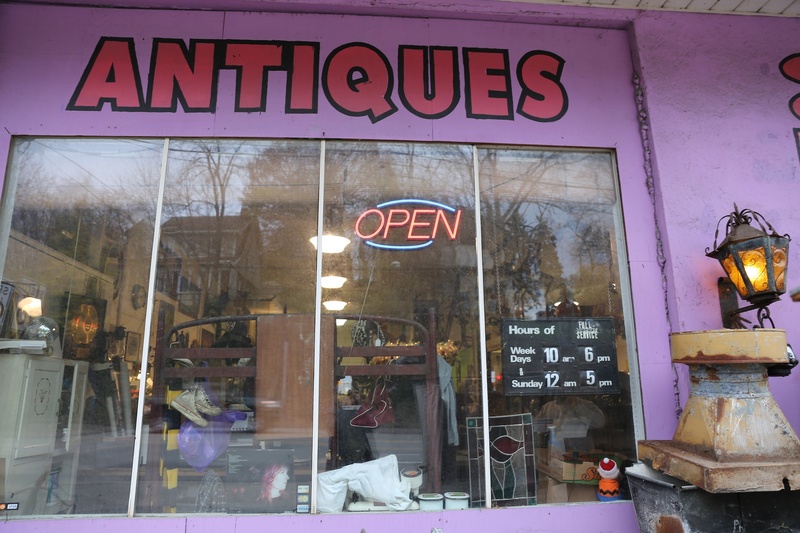 I also like the way you caught the reflection of the homes across the street in the photo of the “Antiques” front window. Lots of cool items. I can be in a store like this all day!